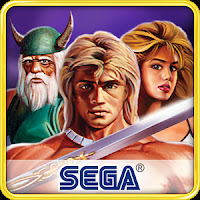 All three 16-bit chapters of SEGA’s Golden Axe series hit SEGA Forever in one single app! Get ready to wield your axe, sword, and magic pots as you vanquish all manner of foes across the land of Yuria. Can you best Death Adder, Dark Guld, and Damned Hellstrike in one fell swoop from the palm of your hand?